Coastal Inspiration: Project: Chalk It Up! I am not sure what possessed me to do this project. I originally just wanted to repaint to coffee table white or gray to add some coastal whimsy into our décor. But then I decided to make the top of the table more kid-friendly by adding chalkboard paint! Phase 1: I sanded the finish to give the paint something to “stick” to. Phase 2: I painted the whole table in a leftover light gray paint from another project. 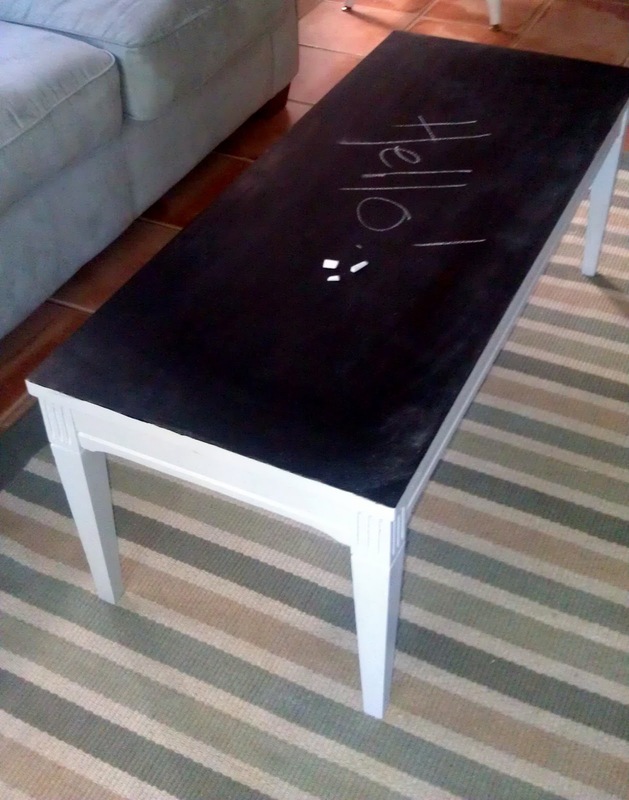 Phase 3: Following the instructions on the chalkboard paint, I painted the top of the table. And that’s it the whole project took two days due to allowing the chalkboard paint to cure for 24 hours. I think it turned out great, I don't know who likes it more my 4 year old son or my 27 year old fiance!